Home»On the roads»Drivers and Passengers»Brake before the bend not on it! We may all enjoy a leisurely country drive or the freedom of the open road without lots of traffic jams and honking horns. But did you know more crashes happen on country roads than any other type of road? In Oxfordshire 60% of road deaths happen on a rural road. That’s why we are supporting the Think! 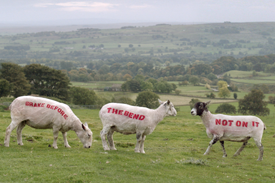 ‘Brake before the bend not on it!’ campaign. Even if we know the road well, we can never be sure what’s around the bend, perhaps a horse, cyclist, broken down vehicle or even a crash that’s already happened. Look out for upcoming bends, hidden dips, blind summits and concealed entrances. Give yourself time to react to unexpected hazards, brake before the bend, not in it. When roads are wet and slippery allow more time to brake, it takes twice as long to stop on wet roads and 10 times longer on icy roads. The speed limit is a guide and not a target. Drive at a speed that won’t affect your decision-making ability, this may be well below the limit. Drive cautiously at all times. 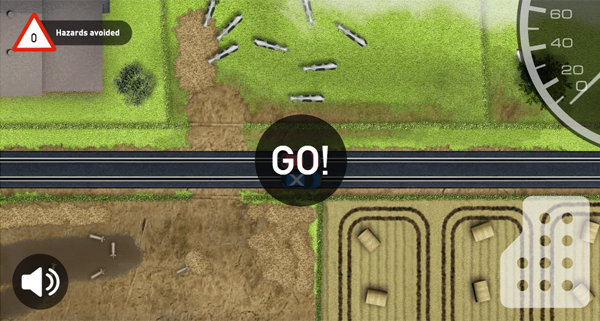 You might know a road like the back of your hand, but you won’t know if there’s a tractor pulling out of a field or a slick of mud waiting on the road. Overgrown verges, bushes and trees on country roads can block your view and potentially obscure an oncoming hazard. Always ensure that you can stop safely within the distance that you can see to be clear. If you get stuck behind a slow moving vehicle be patient, Dips in roads, bends and other junctions joining your road often hide oncoming vehicles, so unless it's absolutely essential, don't overtake. Drive slow and wide when passing more vulnerable road users such as horse riders, cyclists and walkers. Ignore your mobile, leave your Sat Nav and other distractions alone, focus on the road.